It’s nearly a given fact that most children get sick when they start nursery or school for the first time. And that’s mostly because toddlers and pre-schoolers explore by touching everything, and then putting their hands in their mouths. Also, it’s really difficult to control spread of infections when kids start school or nursery, as they play and sit close to other children, and become more exposed to germs and viruses. 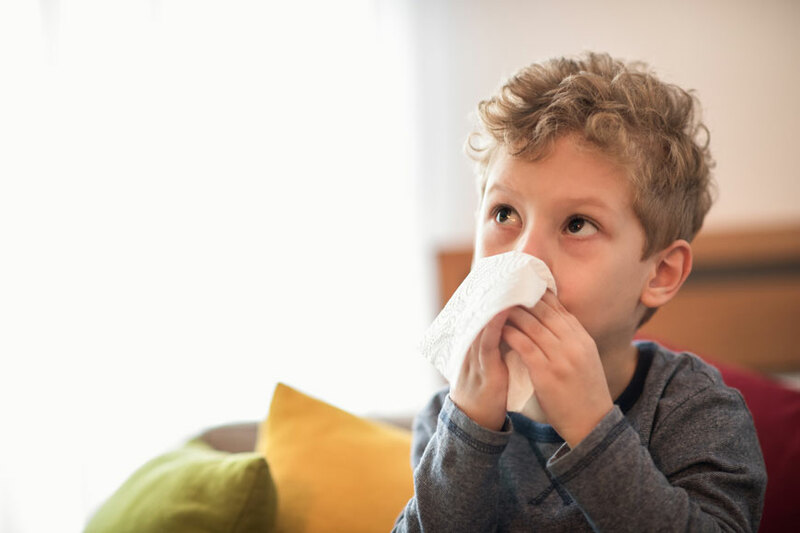 Expats in Dubai are even more worried of their children getting sick, as with the frequent travel of expats comes a great variety of diseases. And young children in general are more prone to illness than older kids and adults because their immune systems are not yet exposed to many infections. Your child will get the common cold caused by viral infections at least 5 times a year. And the drill we all know is that a child with cold will show symptoms like: a mild fever, cough, sore throat, congestion, a runny nose, and thermometer reading above 38-degrees C.
How to prevent it: keeping your little one warm, especially in wintertime will reduce their chance of catching a cold. And even when you live in Dubai, remember that air conditioning is also capable of chilling little bodies just as cold weather. Also encourage your little one to wash their hands regularly, as colds are spread easily through hands. And remind them to avoid touching their nose, eyes, or mouth. Influenza is a flu combined with higher fever than the one you get with a cold. Symptoms of influenza range between body aches, chills, sore throat, headache, and cough. There’s also a chance of serious complications from flu, such as: pneumonia and dehydration. How to prevent it: the first prevention is of course the flu vaccine which targets the main strains of flu viruses that are most likely to infect children during their first school years. This painful sore throat is usually accompanied with fever and is caused by streptococcal infection which is responsible for third of sore throats. And it affects older school kids, and rarely children under 3. The common symptoms of a strep throat are: sore throat, high fever, and abdominal pain. How to prevent it: when a child is diagnosed with strep throat, the first thing to do is to throw away their toothbrush 2-3 days after taking antibiotics. Or else the bacteria will continue to survive on the bristles and cause the infection to come back. Also make sure you keep your child away from other kids who may be infected, as strep throat is very contagious. Whether hand, foot, mouth or other body parts, it’s very common for children below the age of 3 to get viral rashes with fever like: roseola, fifth disease and hand foot mouth rashes. And although rashes might look dramatic, they do fully-recover within 3-5 days. The symptoms of rashes start with fever, an overall feeling of tiredness, and a loss of appetite. How to prevent it: it’s hard to limit the spread of rashes, as these viruses tend to be at their most contagious even before the rashes appear. Make sure you wash your baby’s hands frequently, disinfecting common body parts, and keep your child at home when they show signs of illness. Gastroenteritis, or also known as stomach flu, is an infection of the gut that causes abdominal pain, diarrhea, vomiting, and fever. It’s caused by a variety of viruses and bacteria, however, rotavirus is the one responsible for Gastroenteritis in children. How to prevent it: prevention means start at schools and nurseries, and include: promoting washing hands and hygiene among kids, separating infected kids, sanitizing toys and potty chairs, get staff and all children fully immunized, have the food prepared and stored properly.